Helping others achieve their health and fitness goals is your passion. You’ve spent so much time getting training certifications, as well as perfecting your coaching skills and training regimen; now it’s time to promote your training services to the world. Between Facebook, Twitter, and Yelp, there are a lot of options out there to promote yourself, but the best option is building a website: your centralized location where existing clients can book an appointment, potential clients can find out about your training services, and you can sell your branded merch. You can also share photos, video and other media all from the same place. Jimdo makes building a personal trainer website easy. Any of our flexible designs can become a wonderful personal trainer website template. And our sites have tools to help you land near the top of Google’s results so new clients can find you. It is also easy to integrate third-party tools like social media feeds and booking calendars. This guide will teach you everything you need to know about making your personal trainer website with Jimdo. Whether you’ve got a full team of trainers, or it’s just you, Jimdo is a great solution for creating a fitness website. You can even make a personal trainer website for free and then upgrade to JimdoPro or JimdoBusiness when you feel ready to add your own domain name and improving your search engine results. With Jimdo, there’s no one specific “personal trainer” template that you have to use — with the right images and text any Jimdo template can make a fantastic personal trainer website that will look great on laptops, tablets, or phones. The template determines where on the page your logo, navigation, content area, and sidebar will appear. You can learn more about how to select the perfect template for your Jimdo website on our blog. Making the best personal trainer template choice for you will come down to the type of content you plan on showcasing, as well as your personal taste. Choosing a template with a sidebar at the bottom is a good way to have a wide, modern design while keeping your contact info and social media links available on every page—the content in the sidebar is always visible, which makes it a great place to include this information. Barcelona or Shanghai are both good choices. If you have a lot of great photographs and want to showcase those, you might consider a template like Rome for your personal trainer website. If you’ve got some info that you want to keep in the forefront of every page (such as recent blog posts), you might want to consider a template with a sidebar on the right or left side, such as San Francisco or Amsterdam. You can select or change your template at any time by logging into your website and clicking Templates in the Site Admin, then selecting one to preview from the list. If you like it, click Save, otherwise choose Undo and try a different option. 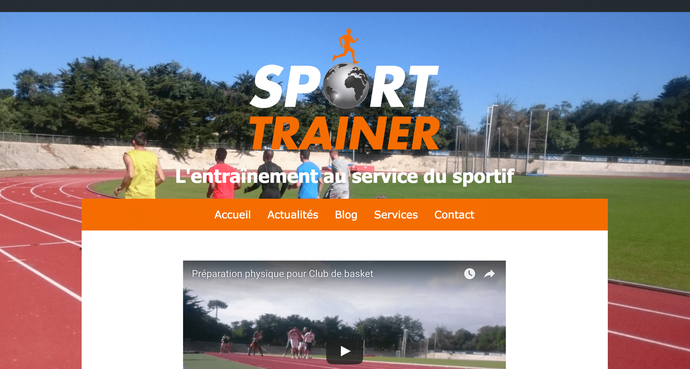 To see all the features of different templates and sort them to find ones that will meet the needs of your personal trainer website, browse the Jimdo Template Filter, but remember that you can change the color, photographs, and subject matter of the examples very easily. 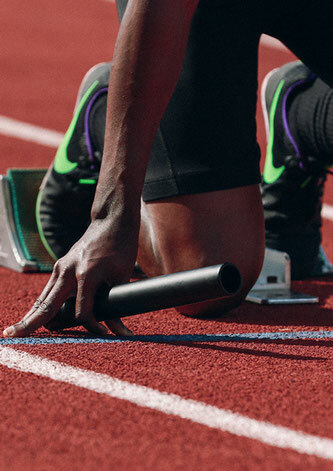 While anyone can create a free personal trainer website with Jimdo, most serious trainers will want to use JimdoPro or JimdoBusiness so they can hide the Jimdo advertisement on their site and register and/or connect a custom domain name to make it super easy for people to find you and your services online. Choosing the right domain name is one of the most important decisions you will make when starting out with your personal trainer website. If possible, the best choice is still to get the .com version to avoid someone else getting traffic while looking for you. Domains are not case-specific and can’t have spaces or characters other than letters, numbers, and dashes. Selecting the right domain might be challenging if your name is common, long or difficult to spell. In cases like this, consider appending the word “trainer”, “training”, or a geographic tag to the domain. If you still are having trouble finding a good domain name, try using a short phrase that is all run together as one word like “GetFitNYC.” Since domain names are not case sensitive, you can always make them easier to read by showing them written or typed with the first letter of each word capitalized. Avoid domain names that are too difficult to spell or ones that use hyphens as those will require you to spend extra time explaining how to reach you online. It’s also best to avoid replacing words with numbers, since that just confuses people. 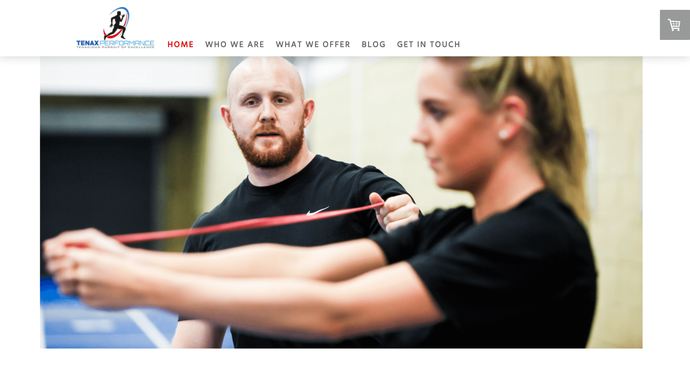 What Pages Does a Personal Trainer Website Need? 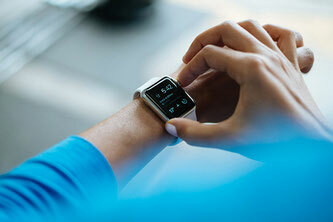 Most visitors expect to find certain information on a personal trainer’s website. You want to make sure that you provide all the relevant information for all the different groups of people that will check out your site: clients who want to book a training session, potential clients who want to find information about your services, fitness geeks who are interested in workout tips, and anyone who might be interested in contacting you. The homepage is your chance to make a first impression. Make sure to have the most important information about your training services, such as if you specialize in Boot Camp, CrossFit, pilates, TRX, bodybuilding, etc in text on this page. Also make sure to mention any of your location, and your latest news and blog posts or upcoming group sessions on this page. Update your personal trainer homepage as often as necessary to keep all the news current. Consider using the sidebar or footer area of your template to promote your next sessions or any specials you’re offering. Content that appears in that area will show up on all pages of the site. Introduce yourselves with a Team page! Include a picture of each trainer, their names, titles, experience, specialties, accreditations/certifications, and a brief bio for each one. Potential clients will use this information to choose which trainer to book a session with, or just to learn a little more about you. It’s a good place to show a little personality so people can see if you’ll be a good match for them. Consider using a Columns Element on this page to keep it organized. One of the first things that a visitor will want to do on your website is find what training services you offer. Include your services (such as one-on-one training or group training), information about sessions (e.g. 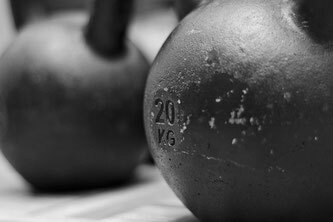 strength training, core training, endurance, upper-body, lower-body, total body, cardio, high impact, weight loss etc), the length of your sessions, and the prices on this page. Add a Columns Element to the page, add a Text Element with the name of the service (e.g. Strength Training) and description to the left column, and add a Text Element with the price in the right column; repeat for each service you offer. Nothing shows off results like before-and-after photos, so consider adding a page of photographs to your site—it’s super helpful for potential clients. Upload your shots to Jimdo’s Photo Gallery Element to display them in a slideshow or mosaic on the page. If you frequently post to Instagram, consider adding an Instagram feed from POWr.io. Another great idea is to upload high resolution (300 DPI or larger) versions of your most important photographs using the File Download Element. This will allow press to easily get print quality images to use in articles or advertisements. If you prefer, you could also put the photographs in the Services page instead of making a separate page just for them. Fans of your training services are eager to support you, so get some swag made and sell it from your website. Create a Store page and use Jimdo’s built-in ecommerce features to sell your merchandise. Accepting bookings online for training sessions is one of the most important features of a personal trainer website. Make it as easy as possible to book an appointment with a dedicated appointment booking page. You can easily add booking widgets from Setmore or BookingBug using the Widget/HTML Element. Whether your focus is on content marketing or giving workout tips, a blog is an essential part of a personal trainer website. Add a dedicated blog page, and read up on how to get started writing blog posts. People are always searching for personal trainer blogs and online fitness training, so blogging is a great way to gain traction for your fitness site. 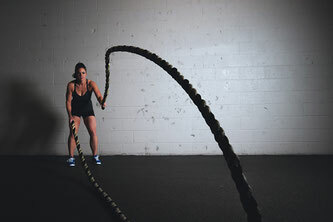 Upload videos to YouTube or Vimeo and add them to your blog posts with the Video Element to show off your fitness training online, and consider creating an online fitness program to keep your readers coming back for more. Everyone needs an easy way to get in touch with you, whether it’s to ask about your training services, rates, availability, to reschedule an appointment, or get any other information. You can easily place a Form Element on any page of your site to make it into a great Contact page. Try adding more resources like a list of phone numbers and email addresses in case you want people to directly contact a specific trainer. The Contact page is also a great spot to put links to all of your social media profiles, making it easy for people to find you and your fitness coaches online wherever they might be. If you can condense the information enough, you could even skip a contact page and put the form, email addresses, and social media links directly into the sidebar or footer of your template which would present the information on every page of the site. 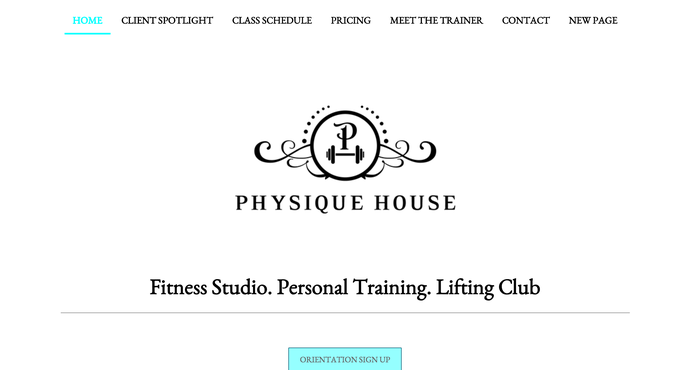 What’s more important for a fitness trainer website than actually allowing clients to book directly from your website? In addition to Setmore and BookingBug, the booking widgets we mentioned above, there are many other ways to accept bookings through your website. You can use Genbook, which is a popular, feature-filled platform, but doesn’t embed directly into the site—they do offer a handy button to link to your booking page, though. Another option is MINDBODY, which offers a full suite of business software. The best option depends on the size of your business and your personal preference. Creating a store on Jimdo is an easy solution for selling fitness products, t-shirts, and other swag. First, create a Store page, then a page for each category (e.g. Shaker Bottles, Water Bottles, T-Shirts, etc), and finally a page for each product. Add a Store Item Element to each of the product pages: upload the product image, write a brief description and set the price. Be sure to add tags to the Store Item Elements (e.g. shaker, water, t-shirt, etc), as tags are very useful for creating categories and can also power tag-based shipping rules for JimdoBusiness subscribers. Add a Store Catalog Element to each of the category pages, then add the tag that you want featured on that page. This will display a catalog of the products available for purchase within that category. On the Store page, link to each category page with icons, photos, or buttons. For more information about store setup, including setting shipping costs and accepting credit cards, visit the Jimdo Support Center. Display reviews and testimonials on your personal trainer website. You can easily add a Guestbook Element to solicit reviews, but you might want to consider going a step further and using a reviews widget such as Kudobuzz or Spectoos. Both services authenticate reviews with social accounts (e.g. Facebook, LinkedIn, Google+) so your potential clients know they’re real. If you’re listed on Yelp, you can also display a Yelp Badge on your personal trainer website. Email marketing is a huge part of any business today, so it’s a great idea to collect email addresses on your personal trainer website. The best option for running an email newsletter is MailChimp. You can start with a free MailChimp account that will likely be enough for most trainers out there. After you are signed up and have started to build your list, it is easy to embed a MailChimp signup form on your website wherever you would like it to appear. Putting it in the sidebar or footer of your website is a good idea as it will then display on each page of your site. Once you have all your content on your website, the next step is to make sure your personal trainer website gets the proper attention from Google and other search engines. The practice of actively trying to make your website more appealing to sites like Google is called Search Engine Optimization. Appearing in all the search results that you want will take time, but the advice in this guide will help. Start by using the tools that Jimdo provides. Go to Settings > Site Title and entering your name and your location. Next go through each page of your website and click on the SEO button on the Site Admin. For each page, enter a Page Title. This will appear in search results after the Site Title, so you don’t want to make them too long. You will see a handy preview of what your Google result will look like that will tell you if you use too many characters. Take this opportunity to add a Description for the page as well. Make sure to mention the services you offer—both general (e.g. 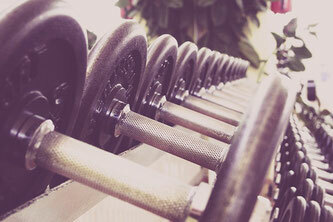 personal fitness trainer) and specific (e.g. Boot Camp, one-on-one, pilates, cardio, etc)—as well as the geographic area you serve. These will be important terms that people will use to find you on search engines. The most important thing to know about search engine optimization is that Google is smarter than all of us. You can’t trick it, so don’t waste your time trying. Make sure you have lots of text on your website that mentions your name, your services, your geographic location, and other noteworthy attributes that potential visitors might search for. It is also important to properly use headings throughout your site. Put a large Heading Element at the top of each page and use Medium Headings and Small Headings to introduce new sections of pages. Also make sure to update your website regularly. This should be easy to do if you choose to set up a blog, or if you host events, but adding news about these things will keep Google (and your audience) coming back to your site regularly. You can gain further traction for your personal trainer website by making sure that you link to your website from all of your social media profiles. Make sure you have a Google My Business listing as it’s a Google property and will usually show up pretty high in search rankings. Then try to find logical web directories that make sense like Yelp and Bing Places for Business. Also check if your local paper has directories of local businesses. Do accept appointment bookings on your website. Setmore and BookingBug are both great options. Don’t add any music or video with sound that autoplays to your personal trainer website. 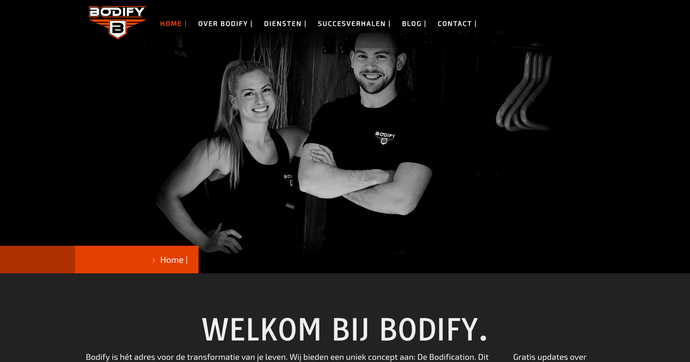 Some personal trainers try to create a mood for the visitors of their website by having background music playing when they arrive. This always backfires and is a quick way to drive people away from your website. Do add a map to display your location. Make it as easy as possible for your customers to find you with the Google Maps Element. Don’t make the homepage of your personal trainer website into a splash page. A splash page is when you arrive at a site and just see and image and a button and nothing else. This is frustrating for your visitors and will not do you any favors with search engines. Do add lots of text to your homepage in a logical and clean way. Adding a small bio that describes your training specialties and upcoming events is the best way to give your visitors what they are looking for. Do share testimonials. This will encourage new clients to sign up for your training sessions. This checklist will help you keep track of the steps that will make your fitness website a success. If you have trouble with any of these steps, please explore the Jimdo Support Center.